An Aetna-CVS deal is likely to draw antitrust scrutiny because of its sheer size, and may require the companies to part with certain Medicare prescription drug contracts. A tie-up between CVS Health Corp. (CVS - Get Report) and Aetna Inc. (AET could draw scrutiny from antitrust regulators, but not to the extent Aetna's now-defunct merger with Humana Inc. (HUM - Get Report) did. The Wall Street Journal reported on Thursday, Oct. 26, that CVS has been in talks over the past six months to buy Aetna for more than $200 a share, or about $66 billion. According to Thomson Reuters Deals Intelligence data, the transaction, if completed, would be the largest health insurance deal on record. It would almost certainly grab the attention of federal regulators. "There is no doubt that given the size of the deal and the antitrust scrutiny that the health insurance sector has been subject to, any proposed merger will garner significant regulatory scrutiny," said Sonny Allison, partner at Perkins Coie LLP, in an email to The Deal. "Probably not the same level of antitrust scrutiny that the proposed Aetna/Humana merger was subject to, but it will get a hard look by regulators nonetheless." Aetna abandoned its $34.6 billion proposal to buy Humana in February 2017 after a federal judge blocked the deal on anticompetitive grounds. On the CVS-Aetna deal, the main concern on the antitrust front would likely be concerns about overlaps in Medicare Part D, a government program to subsidize prescription drug costs, said Evercore ISI analysts Michael Newshel and Matthew Nicolai in a note. CVS has 5.5 million members, or 23% market share, and Aetna has 2.1 million, or 9.9%. They suggest divestiture will be a likely remedy to pass the antitrust smell test should a deal be proposed. 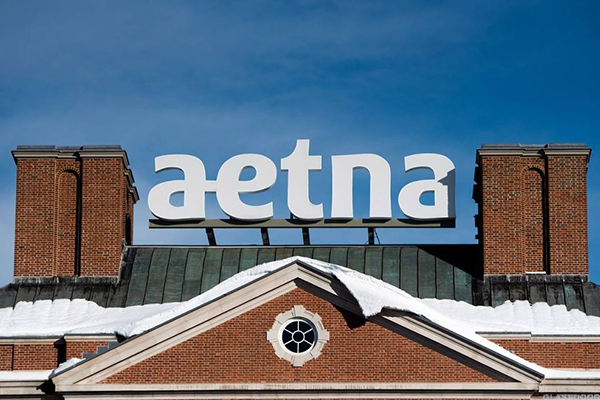 "We suspect a deal would require the divestment of all [Aetna's] Part D lives (note Part D lives are concentrated into fewer contracts than Medicare Advantage; CVS has one Part D contract and AET has two)," the analysts wrote. In considering acquiring Aetna, CVS appears to be making a play to bolster its leverage in negotiations with drug manufacturers on drug pricing. It could unlock members for its pharmacy-benefit management, or PBM, arm and customers for its drugstores and in turn use that get costs down. That would help it to compete with Express Scripts Holding Co. (ESRX , the biggest PBM in the United States, and UnitedHealth Group Inc. (UNH - Get Report) , which has its own PBM, OptumRx. "The combination of a PBM and a health insurer would eliminate the need for a middle man, the PBM, to get a profit," said Jeffrey Loo, analyst at CFRA Research, in an interview. "The potential profit would fall to the bottom line of a merged company like a CVS-Aetna." It might also help them stave off potential competition from Amazon.com Inc. (AMZN - Get Report) , which has been sniffing around in the pharmacy business in recent months. The Wall Street Journal reported that concerns about Amazon are part of CVS's thinking on Aetna, as is federal antitrust regulators' rejection of Walgreens Boots Alliance Inc.'s (WBA - Get Report) proposed acquisition of Rite Aid Corp. (RAD - Get Report) . The Journal said it solidified the view that intensifying competition must come from beyond traditional channels. "To me, if I think about where this industry needs to go and has been moving, it is much more around integrating information, integrating data in a way that we were never able to do before," said Gil Irwin, strategy and healthcare partner at PwC. "Integration in this industry is where we're going and where we need to go. This is an example of that." While such a deal, if approved, would bring down drug costs for a combined CVS-Aetna, it is unclear whether that would also apply to patients and consumers -- something regulators will likely keep in mind. "CVS and Aetna will say it's good for the consumer, they'll say they have the leverage for better drug pricing, will pass along savings to the consumer. Whether or not that's true, that's another story," Loo said. "At the end of the day, it should help the consumer. But, then again, when you have larger and larger companies with fewer and fewer players in the marketplace, that can always work against consumers." In Your 60s: Refi or Reverse Mortgage?